Dota Warding Map | Improve Your Warding Skills! DotA-Allstars Warding map is a small map based on Dota 6.63b map terrain and it is created for those DotA supporting role players who want to improve or test their Warding skills so, they can get the full vision of an Observer Ward. You will have infinite amount of wards in this map, you can place or destroy them if you want. This map has neutral spawn checking option. 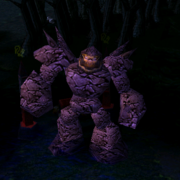 Just place a ward at neutral creep's spawn area and enter, "-ts" command to check whether spawn is blocked or not. If the spawn is blocked you will see a ping in your minimap. Also, you can toggle between Day & Night by using "-tt" command. A very useful map-tool to improve one's warding skills. KEEP ROCKING DOTA-UTILITIES. how do i put that file? Nice Map and I hope you will create a another map for mirana and pudge training map. i do not understand this thing..!!! DotA Warding map needs 1.24b? wen i strt this map in ma warcraft game version 1.24b FATAL ERROR ocurring Plzz HELP! !